Funeral of Empress Dowager Eisho (英照皇太后, 1835–1897), the empress consort of Emperor Komei (孝明天皇, 1831–1867). She was buried at Senyu-ji (泉涌寺), a Buddhist temple in Higashiyama-ku, Kyoto. 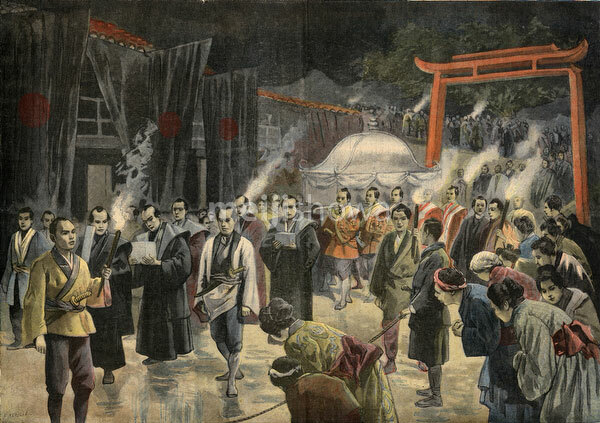 Published in the daily Parisian newspaper Le Petit Journal on April 18, 1897 (Meiji 30).